Business Disputes, Securities Litigation, White-Collar Crime. 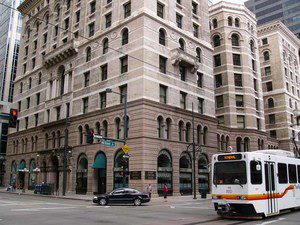 Conveniently located in the Equitable Building in downtown Denver, Feder Law Firm represents the complex and sophisticated legal needs of clients throughout Colorado. Our Denver white-collar criminal defense lawyers are known for our broad client base, knowledge of the securities industry, and the effective resolutions achieved for our clients. We provide personal attention to each client's situation. We will listen to your concerns and goals and develop a strategy with you to maximize results. Our priority is that you understand all your options so that you make an informed decision for your future. With many years of experience, our attorneys continually strive to meet the legal needs of our clients related to business disputes, securities litigation, and defense of alleged white-collar crimes. If your business has concerns about covenants not to compete, disclosure of trade secrets, or employment disputes, we can help find strategic and cost-effective solutions that protect your interests. We also provide defense representation to employees accused of significant breaches. Feder Law Firm has served businesses and individual clients since it opened in 2000. We provide legal advice and representation in the following practice areas: securities litigation, business disputes, white-collar crime and employment disputes. Subscribe to the Feder Law Firm newsletter for monthly tips and pointers on navigating the securities litigation and white collar crime landscapes.